Participants of Senior Friendship Day play a game of cards at Cubberley Community Center on Aug. 2, 2017. 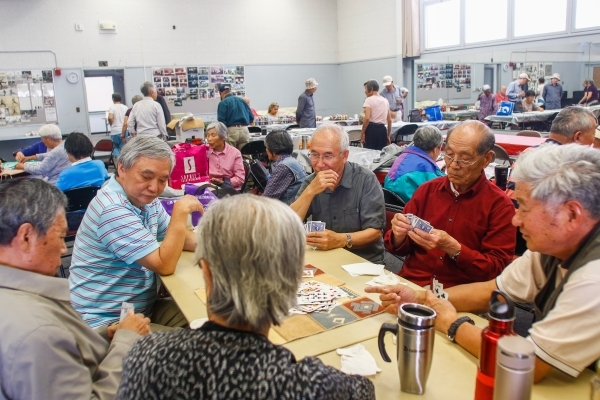 The free senior-focused program is offered every Wednesday from 9 a.m.-2 p.m., offering classes in tai chi, art, plus lectures, social activities like card games, line dancing and a lunch provided by La Comida. The program has been offered at Cubberley for 24 years, serving about 150 seniors. Photo by Veronica Weber.